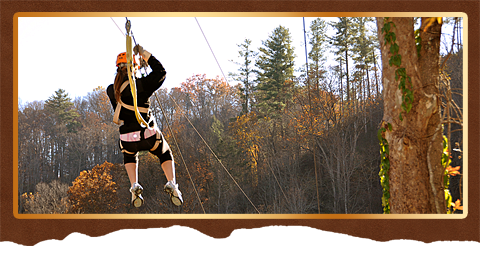 Whichever course you choose you are sure to enjoy the newest outdoor adventure to hit the US. All our courses offer a soaring and gliding experience naturally fueled by a gradual drop in elevation. All trips offer fully guided tours with 2 or more Rangers on at least 10 zips, 4 bridges beginning with a training course at each location.